Preheat the oven to 180°C. 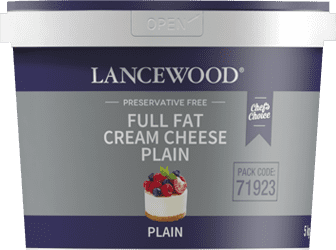 Grease and line two 20 cm cake pans. Sift the flour, cocoa, bicarbonate of soda, baking powder and salt together. Beat the castor sugar and eggs together for about 2 minutes until pale and creamy. Scrape the sides of the bowl down with a spatula every now and then. Add the oil, buttermilk, vinegar, vanilla essence and black food colouring and beat for 2 minutes. Mix until well combined. Add the dry ingredients to the egg mixture a little at a time and gently mix in. Divide the mixture between the two prepared cake pans. Bake on the middle shelf in the preheated oven for 30 – 35 minutes or until a skewer inserted comes out clean. Remove from the oven and leave to cool in the pans for 5 minutes. 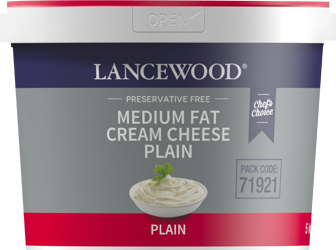 Beat the LANCEWOOD® Medium Fat Plain Cream Cheese, icing sugar and vanilla essence together until smooth. Add the whipped cream and crushed biscuits and fold in. Spread about a third on the one cake. Place the second cake on top. 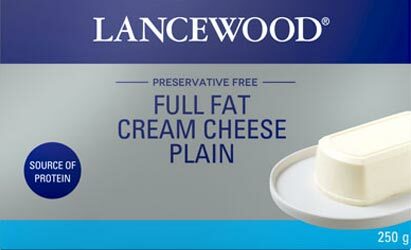 Spread the other two thirds on top of the cake. Arrange whole and crushed Oreos on top and decorate with whole and sliced strawberries. To make a red velvet cake add 30 ml red food colouring. To make a white velvet cake, leave out the cocoa and the food colouring. Contain biscuits crumbs by placing the biscuits in a zip lock bag before crushing them with a rolling pin. 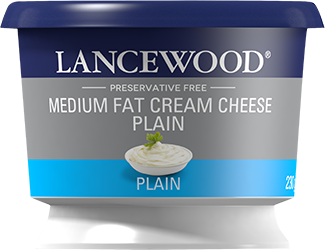 Use 250 g LANCEWOOD® Full Fat Plain Cream Cheese instead of Medium Fat Plain Cream Cheese for a creamier taste. Use the cake batter to make black velvet cupcakes. Use an ice cream scoop and scoop equal quantities of the mixture into a muffin pan lined with cupcake liners. They should be 2/3 full. Bake for 20 minutes or until a skewer inserted comes out clean.